The world of SEO is changing, and many brands are shifting more of their efforts to Pay-Per-Click (PPC) to make up for losses in organic search traffic in the wake of Google’s major algorithm shifts. Gone are the days when it was possible to set a goal to rank on the first page of Google for a specific keyword – and then make it happen. Google has incorporated the social nature of the web into its strategies in more ways than you know, and the changes are impacting both PPC and organic search. First, it’s important to understand that Google’s Hummingbird algorithm has no direct effect on the way PPC ads are displayed or positioned in the SERPs. But as the organic search results are becoming more targeted and more valuable to searchers, it could mean less clicks on PPC ads. So PPC advertisers have to step up the game to make sure their ads are just as compelling as the results Google is displaying organically. Because Google is now indexing pages based on context – or the perceived meaning behind the user’s search query – there’s a lot more value to be obtained from long-tail keywords. And Google has complicated things a bit more by making most keyword referral data “not provided” within the Analytics dashboard. Still, advertisers can make informed decisions by analyzing the available data – and clicks on paid ads is the only set of keyword referral data that hasn’t been obliterated. But a PPC campaign could actually give your organic SEO efforts a little boost. Because Google’s search results are more personalised, the results that appear to any given user are weighted by the user’s previous activities – including social media interactions, the types of websites visited, and anything that indicates the user has an interest in a particular topic. In a Moz Whiteboard Friday, SEO expert Rand Fishkin explains how his recent searches were impacted by not only his activities, but the activities of his connections on Google+. For example, a search for a celebrity name produced search results that were connected to him in some way – one post that appeared was a post that was shared by a friend on Google+ in the previous days, another was an article that a connection +1’d. It comes down to this: User engagement with your PPC ads could potentially boost your organic search visibility. For instance, a user clicks on an advertisement and is taken to a landing page for an upcoming bootcamp on content marketing tactics. The user may or may not sign up for it – but they may share it with their social networks, leading to the same page appearing in the organic search results for a similar query for a user who is somehow connected to the person who actually clicked on your paid ad. While it’s still pretty early in the game to be making definitive conclusions about exactly how Hummingbird fleshes out its SERPs for each user, there is a possibility that PPC could become an ancillary tool for boosting organic search – even for non-landing page content. It’s not unheard of for brands to advertise specific pages with brand awareness as a primary goal instead of sales. The potential could lie in promoting your most compelling content assets with PPC in order to gain some initial exposure with your target audience. When the first batch of users engages with your ad – provided you’ve done an excellent job of encouraging social sharing – and some of those users share your content, you’ve given yourself an edge for organic search for that specific asset. And of course, Ad Extensions allow you to include sitelinks which can direct searchers to pages of interest, producing similar results but to a lesser extent. Overall, Google’s Hummingbird update points to a new direction for SEO, and one that we’ve already been moving towards: Online branding. The goal of the modern enterprise, when it comes to online marketing, is no longer to rank for specific keywords – that’s now an impossibility, other than machine-generated ranking results which carry absolutely no value. The goal is now to establish the business as an established authority, a well-respected entity, a source of valuable information, and to drive online sales and lead generation. These metrics, combined with overall organic search traffic, provide the real insights into how well a digital marketing campaign is doing. Consider the before and after – even if a website was ranking on the first page of the SERPs didn’t mean that it was converting visitors or making sales. Even the most time-consuming SEO efforts went to waste if the elements of conversion weren’t in place. Now, in addition to generating leads and sales, PPC could become a valuable tool to build brand recognition, drive social sharing, and earn endorsements from high-authority sites. Do use your keyword research tools to plan your PPC campaigns. Do use the available keyword research to influence your content marketing initiatives. But don’t rely on a keyword-focused approach to SEO to drive your optimization activities. Instead, use your sales funnel to your advantage to tie your marketing channels together for greater brand awareness. Top pay per click companies can set up your campaigns within hours, so your money spent immediately translates into unique visitors to your website. This means that this advertising delivers fast results, unlike SEO campaigns that may take months, or even years of consistent efforts. If you want to generate immediate traffic and earn huge profits, PPC advertising is the way to go. A PPC management company will also ensure that you choose competitive keywords, design your campaigns to keep costs down, and increase your website traffic resulting in more profits. 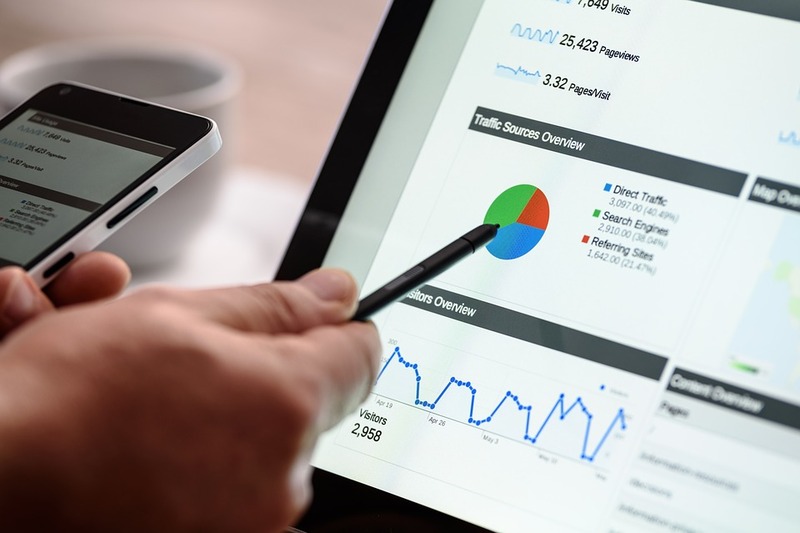 When you hire a PPC management company, they will keep track of all periodic reports that will give you detailed statistics of all your campaigns. This will help you in drawing more targeted customers to your website. A PPC campaign is not that easy to construct and since you are investing money in clicks, you won’t like to end up losing out on the correct clicks and less profit. If you hire a top pay per click company, it would be easy for you to transfer the management of these services to get fast results. A PPC management company will also take care of all aspects of successful campaign building which includes copywriting, bid management, keyword research, analysis, and effective tracking. You won’t have to do all these complicated things and it can free up your time to process orders due to increased customers to your website. A top pay per click company should have extensive experience with managing such campaigns and can help you in producing regular returns on your investment. They will conduct proper bidding on proven keywords that offer the highest returns on your investment. With millions of businesses using every possible trick in the book to get maximum customers using a PPC marketing strategy, you definitely need experts who are aware of all the latest tips and tricks to get you the desired results. These companies should be able to easily manage all the complexities of the internet marketing business.